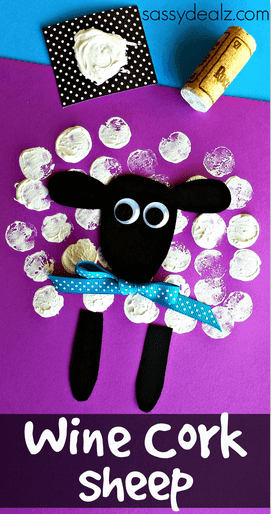 Lots of March Lion & Lamb Ideas! 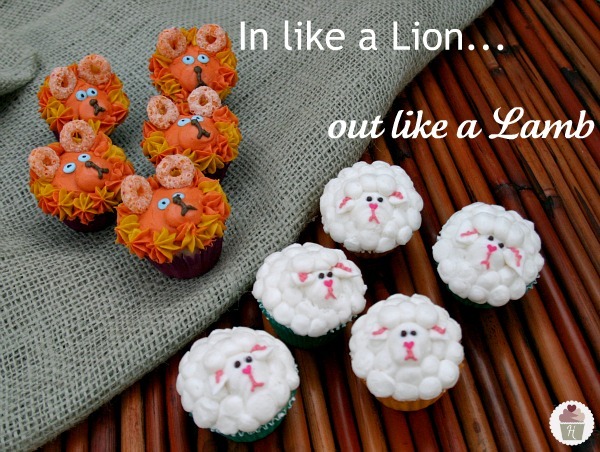 In two more days it will be March 1st and I always like to do some March lion/lamb activities. 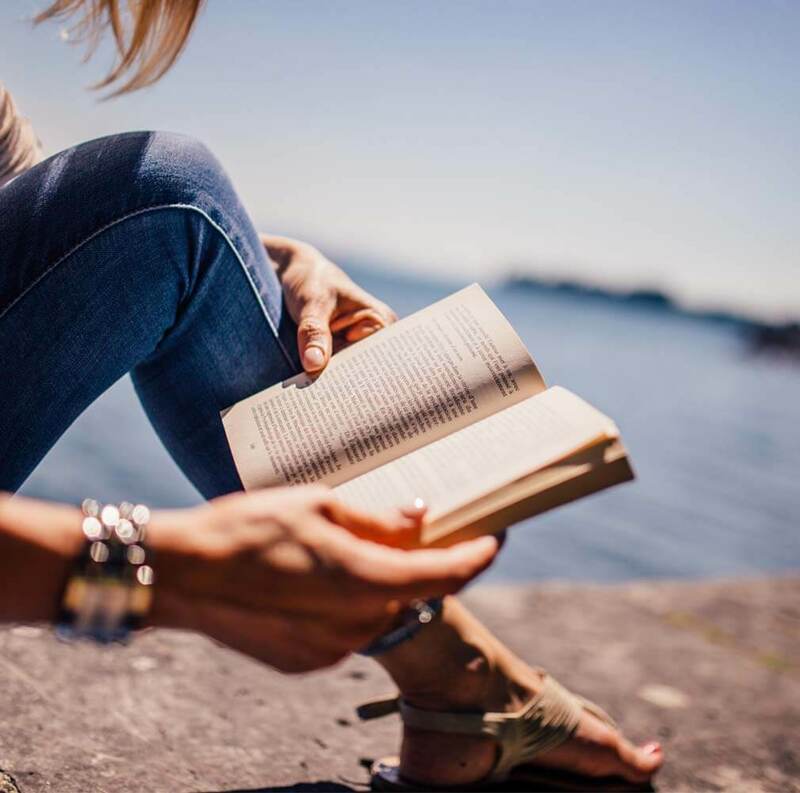 In this post I'll be sharing some links from things I've done in previous years, plus a few more cute and useful ideas for you. 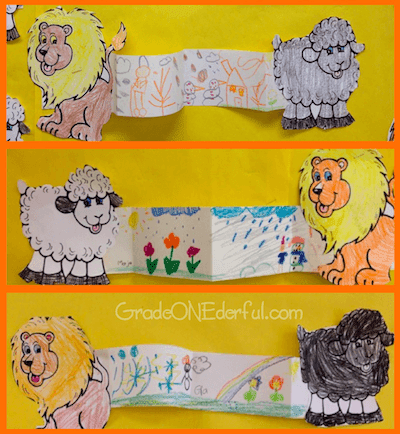 On Friday we predicted whether or not we thought March would arrive with lion or lamb weather. 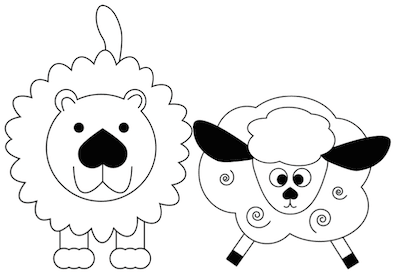 I gave all the kids a 3x3 inch piece of paper and asked them to draw a lion or lamb on it. 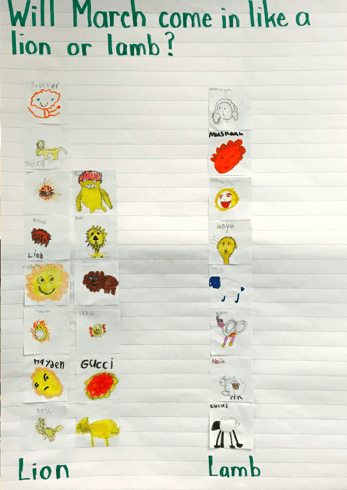 We then glued them to our chart graph. Whenever we make a graph like this we spend lots of time talking about the information it gives us. 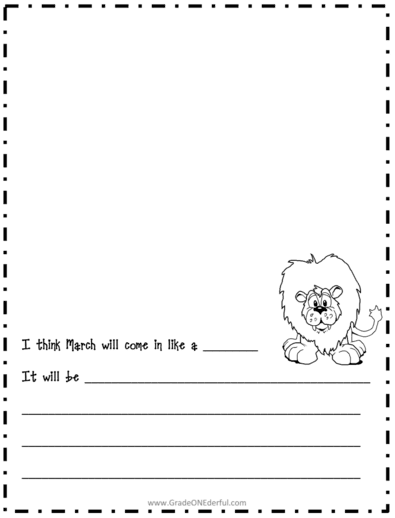 Most people predict that March will come in like a lion. How many? The least number of people predict that March will come in like a lamb. How many? How many more people predicted lion? How many fewer people predicted lamb? They find the language a little tricky at times, but it's good practice to introduce them to it in Grade 1 and kindergarten. After our discussion we get to the fun stuff; the lion and lamb crafts! Both faces were made with paper plates. I pretty much let the kids free form it, although I do show them pictures or samples of what I'm generally looking for. They first used a tracer to trace a black circle for the face. That was glued to the plate. Then they covered the edges with cotton balls. I showed them on the board how to draw lamb ears. Once those were made and glued on, they glued on googly eyes and drew a nose and mouth. I pre-cut the strips of paper for the main. They glued the strips around the plate. Then they used a larger tracer to trace the lion face and glue that down. They either drew eyes or used googly eyes. Then they added the nose, mouth and whiskers. Tomorrow I'm going to have them write descriptions of lamb and lion weather (depending upon Friday's prediction). You can grab the cute writing sheets I'll be using right HERE (it's in google drive ~just scroll down a bit). And I have a slightly different set HERE. 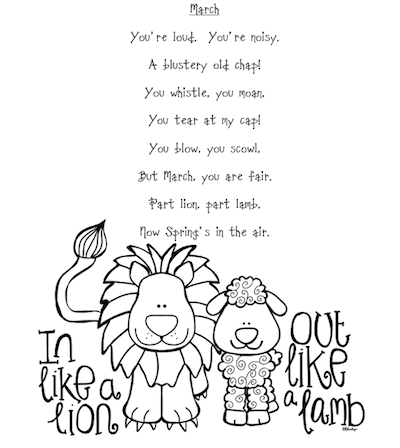 Tomorrow I'll also be introducing our poem of the week, which is a super cute March poem which incorporates the lion/lamb. It's full of lots of sight words, rhyme and repetition, too, so it's a good one. 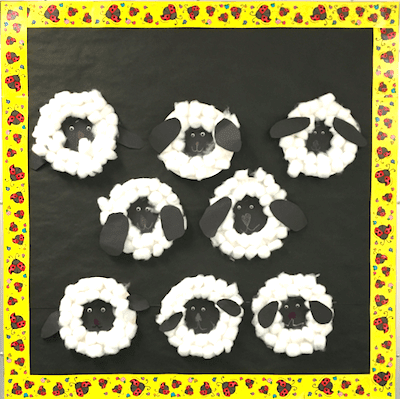 A couple of years ago I put together this mini package for Lion / Lamb activities. 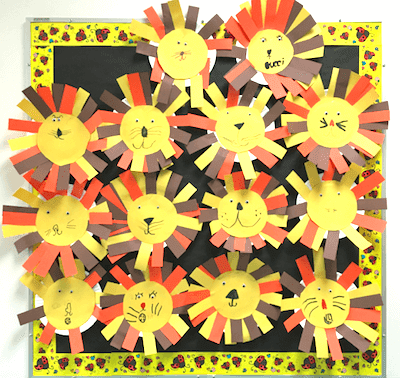 There's a cute craft where the kids show the weather changes from winter to spring. It also includes a read aloud / drama activity. If you love baking then you might want to make these for your class. Aren't they adorable? They came from Hoosier Homemade. If you're looking for a healthier snack I thought this one from Family Fun magazine looked pretty yummy. 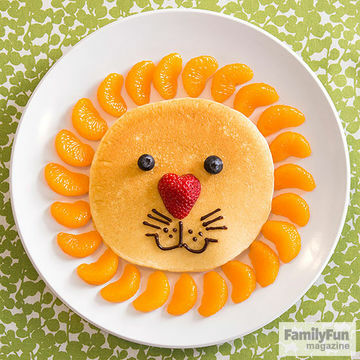 You could also substitute the pancake for a pineapple ring and the oranges for grated carrots or cheese. NOTE: I removed the link to Family Fun mag because it was acting very funky and slowing down my computer. Here's a different way of making a lamb. Hmm...I have LOTS of wine corks :) This would be a good one for me to do! Click the pic to find it on my pinterest board. Here's another really gorgeous lamb. This is a messy project but I think the results would be well worth it! This one comes from an art blog called Faithful Attempt. 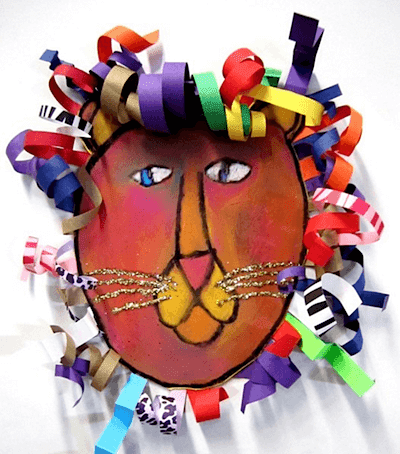 And finally, this gorgeous lion, created by Hannah from Artsonia was made from pastels and curly paper. 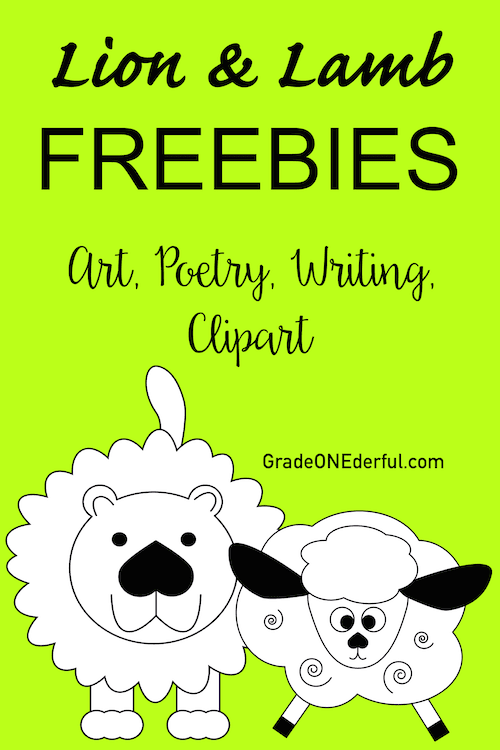 Before you go I have a lion and lamb clipart freebie for you. Just click the image to grab and you'll receive a separate png file for each. I hope this was helpful. Happy "almost" March! I especially like that lion at the end of the post (minus the glitter of course). I can see kids enjoying it and adults enjoying the uniqueness of each one.